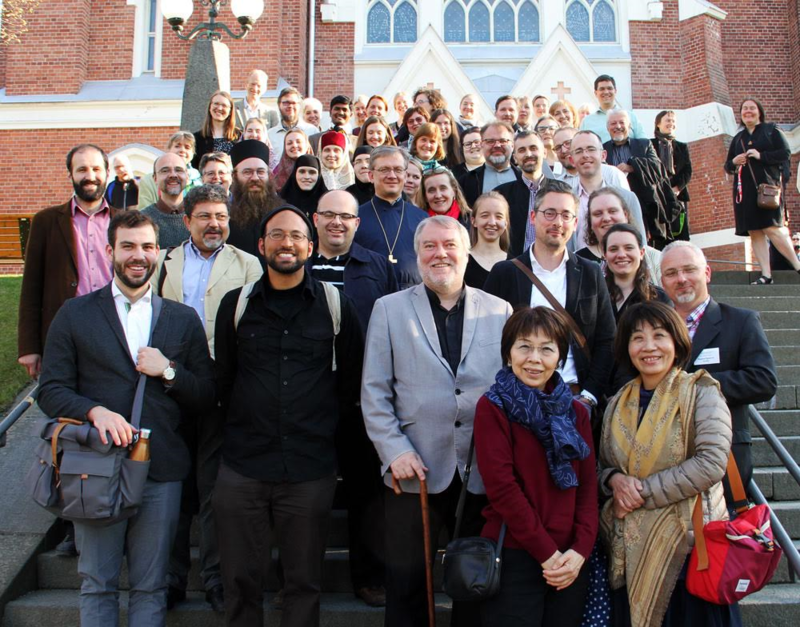 Joensuu, Finland – Over 60 musicians, singers, researchers, composers, directors, chanters and musicologists from 17 countries joined members of The International Society for Orthodox Church Music (ISOCM) for the 7th Conference on Orthodox Music, 6-11 June, 2017 here. Thirty-three presentations were offered, exploring the conference theme of “Liturgy and Music” through a variety of topics and musical traditions. Presentations also included reflections on the work of select composers: Alexander Raskatov of Russia, Alexsander Knaifel of Russia, Egon Wellesz of Austria-UK, and the Archpriest Sergei Glagolev of America. “This was my third time at an ISOCM event, and it has been fantastic to learn about the range of choral variety and areas of study on different national traditions,” said Margaret Haig, a choir director in London, U.K. “The services at which we sang collectively and the concert added so much to the overall experience for me.” “We have been blessed by an extraordinary concert of early Russian chant and polyphony by the Klyuch razumeniya ensemble, as well as workshops on the singing of Znamenny chant,” Father Ivan said, referring to the public concert sponsored by the Society, and presented in Joensuu by Klyuch razumeniya, a female ensemble from St Petersburg, Russia specializing in the singing of ancient Russian chants. The proceedings from the conference will be published and available for purchase here along with other publications from the Society. Plans for regional symposia and workshops are being finalized for 2018, while the next biennial ISOCM conference is scheduled for June 2019 in Joensuu, Finland. Learn more about the ISOCM and become a member on their website here .